Police are asking the public for assistance Thursday identifying a man who they say set an auto repair business on fire. The incident occurred Sept. 19 around 5 a.m. at the Philmont Auto Body located at 198 West Ashdale Street in the Olney section of Philadelphia. 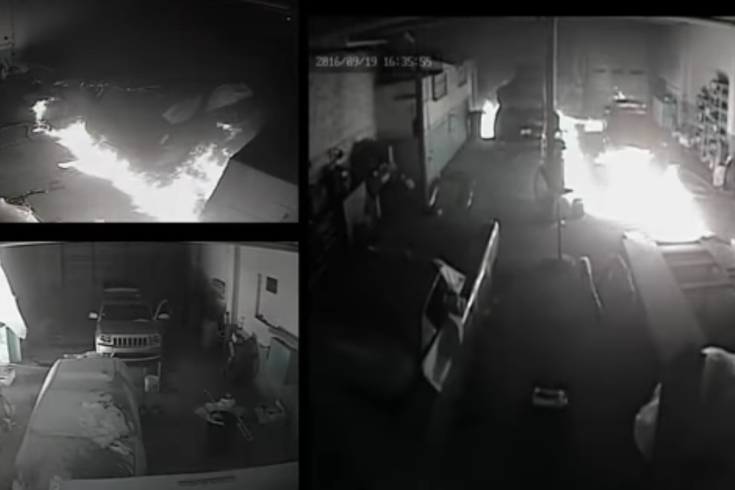 Authorities released surveillance video that shows the man pouring combustible liquid throughout the garage. The man later applied an open flame which caused the fire to spread before fleeing the area. No injuries were reported, but the business and multiple vehicles inside the garage were damaged. Police were not able to provide a description of the suspect from the video. Anyone with information is urged to contact the Arson Task Force at (215) 446-7875.